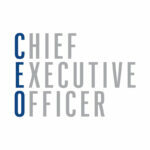 With increasing sales, retailers will need to solve a potentially higher number of returned items. In today’s retail universe, consumers expect a range of options and features that revolve around the delivery of seamless experiences. As the holiday season arrives, increasing sales are expected all around businesses, and return policies that fully reimburse expenses on products that are no longer wanted are something retailers need to be able to handle, as increasing sales come with a potentially higher number of returned items. 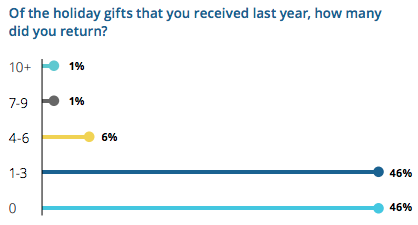 Returned goods are expected to reach $94 billion in the 2018 holiday season, and this is likely because the majority of shoppers (54%) returned at least one holiday gift in 2017, according to data from Optoro sent to Business Insider Intelligence. 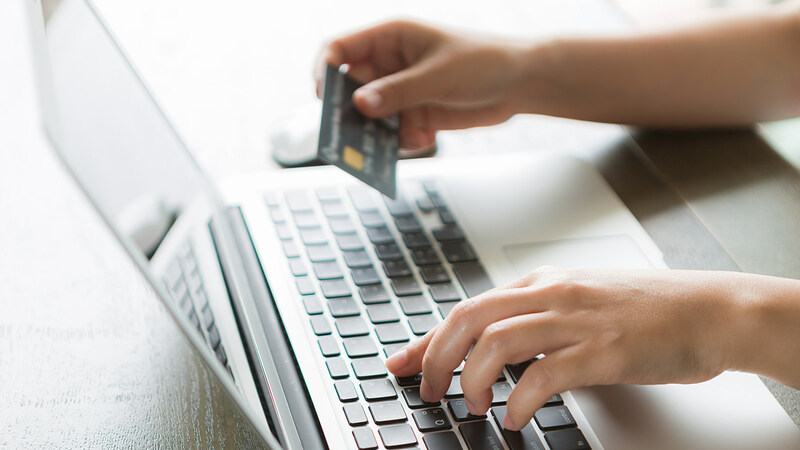 This has companies working on avoiding the expenses returns can bring in order to get the most out of this busy purchase season, but if they cannot be avoided, the experience must be used to build loyalty and generate future purchases. They must be ready to handle returns quickly after the holidays, as 48% of respondents made their returns the week after the holidays, and 46% did so within the month after. Retailers should tailor their return policies to consumers’ interests to inspire loyalty, as 97% of all consumers would be more likely to purchase an item from a company that they had a positive return experience with, while 89% would be less likely to after a bad experience. 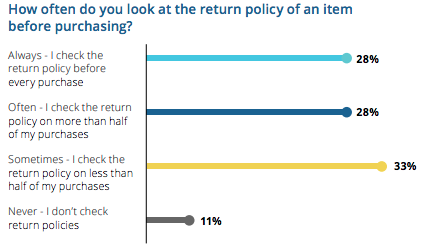 Over the past year, 51% of respondents had returned items in-store and 36% returned products both in-store and via mail, displaying that in-store is a popular channel for returns. 86% of consumers who returned an item in-store bought a product while they were there, making it important that retailers offer an in-store return option and push for new sales from consumers making returns.